Why it matters: The board that kicked-off the maker revolution has returned to its Model A+ form factor for a final showing. This is the last of the Raspberry Pis, say the creators, and a new generation of Pis is in the works. But right now you can pick this one up for $25. The Raspberry Pi Foundation has decided to bless its loyal followers with a new device. Dubbed the Raspberry Pi 3 Model A+, the device shoehorns the Pi 3 SoC into the original form factor of the Pi Model A, and lowers the price in the process. 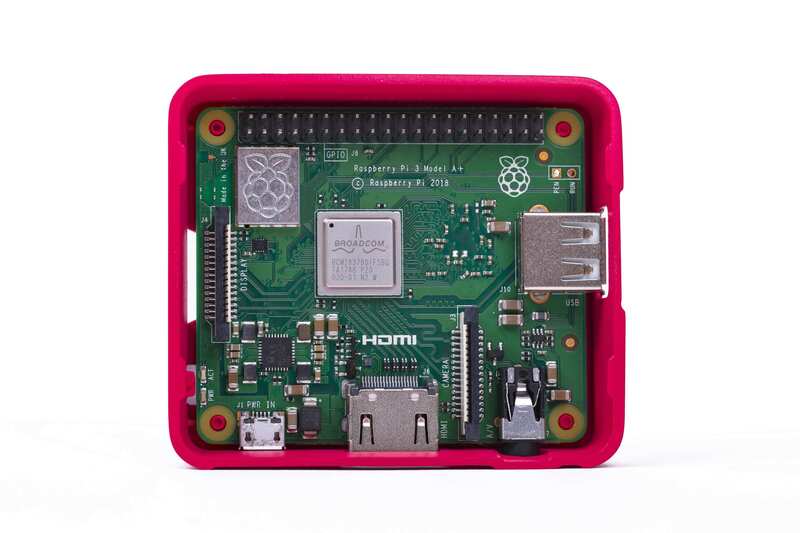 With every generation of the Pi outselling the previous one, the people at the Raspberry Pi Foundation have found that it would be worth bringing back the Model A/A+ form factor. The most visible change, apart from the svelte 65mm x 56mm form factor, is that the Pi 3 Model A+ sheds its Ethernet port, returning to its reliance on 802.11.b/g/n/ac wireless LAN, or a USB Ethernet adapter. It also halves the RAM to 512MB LPDDR2. The Pi 3 DNA is still there, though. It is powered by the same Broadcom BCM2837B0 SoC and its four Cortex A53 cores running at 1.4GHz. It's characteristic 40-pin GPIO remains untouched, as does the full-size HDMI connector to plug into your LCD. It also sports a 4-pole audio jack that doubles as composite video output and two USB 2.0 ports for connectivity. Storage relies exclusively on microSD storage. Power comes as always from the micro USB port (5V, 2.5A source required). The cost is also exceedingly tempting if you're looking for some brains for your maker project: just $25. The Raspberry Pi Foundation added that this will be the last of Raspberry Pis built on this particular type of silicon, and wanted to go out in style by addressing one of their customers' most requested features. Going forward, they say, "the 3+ platform is the final iteration of the “classic” Raspberry Pi: whatever we do next will of necessity be less of an evolution, because it will need new core silicon, on a new process node, with new memory technology." The maker board, in all its incarnations, is vastly popular in the US and the UK and has sold over 19 million units worldwide. It is used extensively in education and the maker community, the latter to power their robotics and automations.